A Panic attack is an intense feeling of fear and impending doom. People who experience them may feel that they are going crazy or that they are on the verge of a heart attack. Panic attacks may feel terrifying at the time, but they are not dangerous; it is just a flow of adrenalin surging through your body. Adrenalin is the cause of all the symptoms you feel, like dizziness; racing heart; feelings of unreality; feeling out of control; hyperventilation and lightheadedness. There have been many studies carried out about the cause of panic disorders, and although the results are still inconclusive, in my experience and based on the studies of others, the leading cause of the initial episode is due to a prolonged period of worry and stress. The body then needs to release this built up energy and manifests itself into what is referred to as a panic attack; although I prefer to call it an energy release, as this is what it is. The scary part for most people is that these feelings of panic don’t seem to come when they are in a situation of danger. They can happen at any time of the day and in any situation for no apparent reason. Unfortunately, what can keep people in the cycle of panic is the fear of having another attack and the avoidance that can go with it. They may have an attack of panic while driving and then wrongly blame that as being the cause of how they feel, thus avoiding getting back behind the wheel. In a few cases, people may retreat indoors as they believe that by doing this, they can avoid all the situations that may bring on this surge of energy. Understanding what is happening during an attack of panic can be the first step in moving towards recovery. 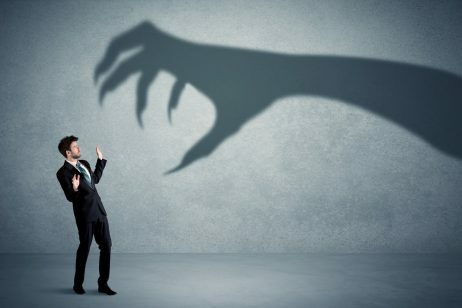 An attack of fear, or an energy release as I like to call it, does not mean you are going mad or having a heart attack. This release of energy cannot harm you in any way, no matter how you feel when going through it; it is something that always calms down. Recovery involves an understanding of what is happening and a little courage. If you understand what is happening then straight away, you lose a lot of fear, and fear is what keeps people in the cycle. You may spend all day worrying about a particular event or situation, building up the worry throughout the day, creating more nervous energy. Is it any wonder that when you get there, you feel anxious/panicky? You may feel the first symptoms of fear and then go on to create a whole host of ‘What if I collapse?’ and ‘Oh my God I cannot cope’. 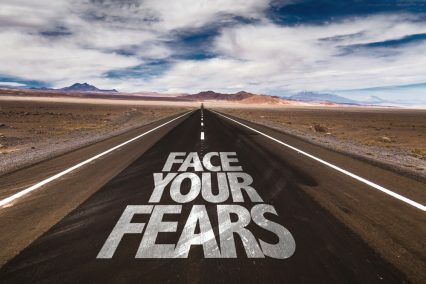 The stage you need to get to is the stage where you no longer fear the feeling of fear; easier said than done when all you may have done so far is avoid and run away from how you feel. 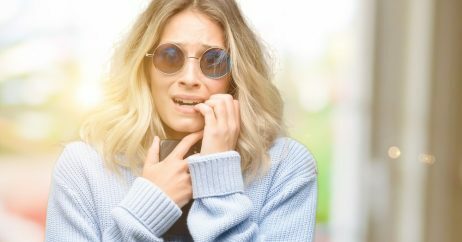 The technique is to go with the feelings of panic; to come out of your safety zone and try to see this energy surge through without trying to control it or put a stop to it. By doing this, you are telling your body there is nothing to fear while releasing all this nervous energy within. It is the freeing of this energy what will eventually cure you and why allowing yourself to feel it, is so important. Fear truly is nothing to fear, it is just a surge of energy. Yes, it feels uncomfortable, if it didn’t then people who were in real danger would never have the urge to escape when they needed to. But as far as being something to fear, it is not. It is just an uncomfortable physical feeling that we are more than capable of handling. A lot of people think that if they let panic come without trying to stop it or run away from it, something terrible will happen, and they will reach the point of no return. Trust me, this place does not exist, and it was this understanding is what helped me to recover. Your instinct to run away during this surge of energy is a normal reaction, but you need to go through the feelings of fear and move towards them willingly. It is not the cinema or the crowded shopping centre you fear; it is a fear of how you will feel when you get there. So, if you deal with yourself, then no place will hold any fear. When you start to move towards these feelings and understand that what you feel is just a feeling, an energy surge that can do you no harm, then a little window starts to open, and you begin to gain some confidence. 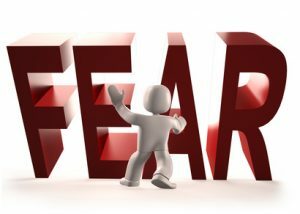 Fear grows with avoidance, which follows the laws of how your mind works, as your mind’s job is to protect you from perceived danger. So, if you keep avoiding something, then your mind will conclude that you still need its protection and will keep engineering the fight or flight response and trigger this release of nervous energy stored within you, even when you don’t need it. It is up to you to teach it the opposite by using the only language it understands, which is your behaviour. If you stop avoiding and don’t try to escape at the first sign of feeling fear, then the mind will conclude that you are now okay in this situation and will begin to turn off its overbearing protection system. My recovery came one morning when I had just had enough of hiding away and seeing my life becoming more restricted. I just decided that whatever happened, nothing could be worse than the existence I was living. I realised that this fear response is hard-wired into everyone, so although it felt uncomfortable, I realised it could not be harmful. Whatever or whoever created us would not be that cruel; the response was put in there to protect us, not harm us. I just decided to live fearlessly, and whatever came up, came up. I would not die, collapse or implode. The worst thing that could happen was that I’d feel uncomfortable and that I could handle if it meant having my life back. I also realised that the outside was not the cause of my fears, the outside just triggered what was inside. It just triggered the nervous energy within me, the energy that needed to be felt and released. So it no longer made any sense to avoid the outside world or specific situations, as these were not the real cause of my fears. This realisation immediately helped me interact with the outside world far more and just deal with myself for the solution. So whenever my instincts to escape or avoid appeared, I would do the opposite. I realised that I had to override my mind’s false alarm and now teach it that I was OK. It could set the false alarm off if it wanted, but I was now taking control back for both our sakes. I had to teach it through my actions that there was no real danger here and I was the only one who could help it understand this fact. It was my fault through avoidance that the mind had become so fearful of life and situations in the first place, so to lead it back I had to teach it that its fears were false, that I was OK to interact with the world around me and no longer needed its protection. 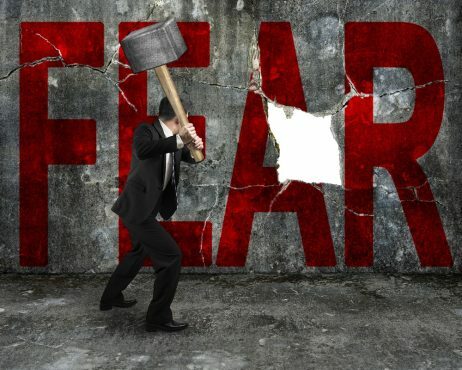 The mind’s fears govern many people’s lives, and I know how hard this can be. Letting fear come and trying to stay calm while your body rages around you is not easy, but there is no need to climb a mountain in one day. Little victories can add up and give you the confidence to try more, so you can start to broaden your life. Instead of saying to yourself “I can’t cope”, I must get out of here” just say “I am fine, it’s just energy, an uncomfortable energy, yes, but just energy, all the same, nothing can come of it”. If you’re planning to go somewhere, don’t fill your day/weeks worrying about it, just go, and you may find that you do enjoy yourself and many of the fears you held came to nothing. It is not about getting rid of fear, but understanding it so that you no longer fear its presence and then it does not hold any power over you. I have seen many people overcome panic to lead a full and healthy life, but no amount of intellectual knowledge will free you, no magic tablet will make it all go away and there no technique that you need to master. True recovery takes time, understanding and courage. Knowledge can only take you so far, at some point you have to make that leap and start to go out and live again, even if you start with the small things, these small steps can then turn into huge strides.